Stunning and striking image. I am itching to find a sunflower field to shoot. Gorgeous shot. way moody - way cool. 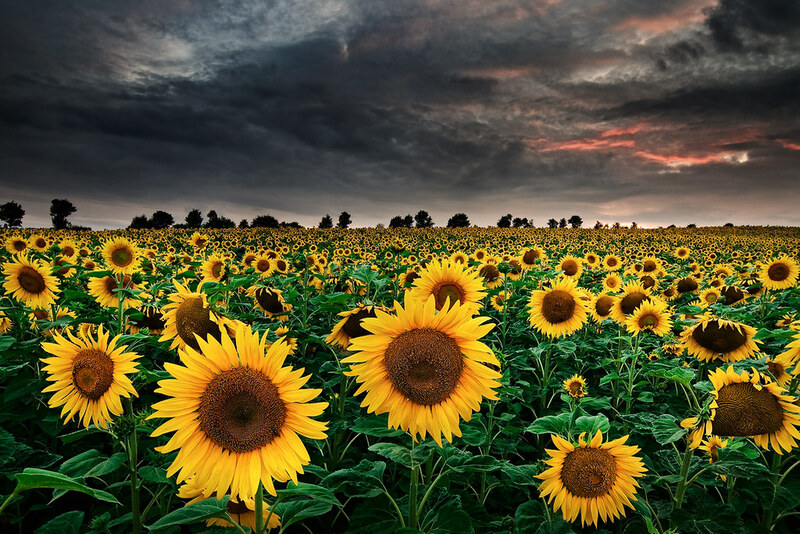 The juxtaposition of sunflowers and storm clouds is awesome.